Severe attack on the freedom of art: The state classified the Center for Political Beauty as a criminal organization under §129 of the German Criminal Code. This is a direct violation of the which guarantees the freedom of art. And so, the Center for Political Beauty is denounced as an organization whose primary purpose is to commit serious criminal offences. On a list published by the Government of the state of Thuringia, we find ourselves next to twelve terrorist organizations such as "Islamic State"(ISIS) and "Al Nusra Front". We should be exposed, criminalized and stigmatized. The state itself radicalized as it contests our actions. When art is criminalized, the state acts criminally. We now need every form of solidarity to defend ourselves! For the legal proceedings, we are in urgent need of your donations. IBAN DE55 4306 0967 1182 4275 00. 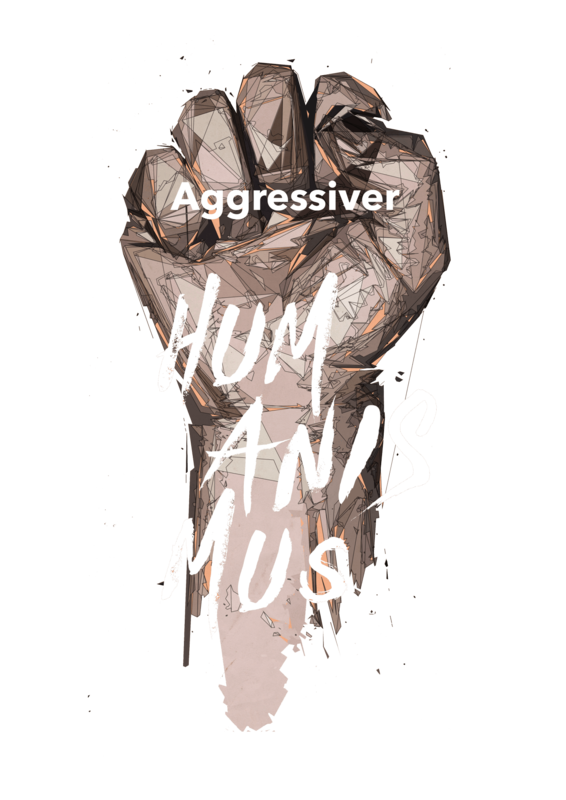 Especially helpful is when you join our "criminal art organisation" as an accomplice (sponsoring member) – together with more than 2,000 other individuals from all over Germany. We stand for the humanistic public! Why become an accomplice? §129 “Forming criminal organisations” is one of the state´s sharpest blades in investigations against serious criminal crime and terrorism. The Center for Political Beauty is therefore an organization whose main purpose is to commit serious criminal crimes. Under §129, this must be the main purpose for the existence of such an organisation. When the offenses are simply "means to an end" and the goals are different, §129 does not apply. In the actual list of proceedings under §129 only 12 other organisations can be found next to ours. Seven of these are terrorist organizations such as the "Islamic State" and the "Al Nusra Front." Whereas surveillance measures against us have now lasted for 16 months and without the slightest legal grounds, most of the other proceedings have long since ceased – including of course the trial against a right-wing extremist group. "That is why this group of artists is not an artist group. It is a criminal organisation, indeed a terrorist organisation!" What is the State authorized to in connection with Article 129? "Action artists lumped together with Islamist endangers and right-wing extremists? At least this is the answer of the Thuringian Ministry of Justice." 1. Why is the proceeding lasting 16 months? 2. Why does the government of the state of Thuringia tolerate that the public prosecutor of Gera acts as a lap dog of the AFD? 3. Will members of the center be tailed, intercepted or investigated in the course of the investigation? 4. Who else except for the Federal Ministry of the Interior ("the Ministry responds the Stern´s enquiry with the 'running procedure' [...]", source) and is the Minister of Justice Dieter Lauinger (whose signed on the list which implicates us as a criminal organization) aware of the abuse of §129? What do the Chancellery and the Federal Ministry of Justice know? 1. Immediate discharge of the responsible AFD state prosecutor Martin Zschächner (also due to his very long list of legal misconduct). 2. The immediate termination of the procedure. 3. Clarification by Prime Minister Ramelow and the Federal Government, who knew about the investigation and pursued it even after being informed by the Ministry of interior affairs. "The investigating prosecutor is Martin Zschächner. He is obviously incapable of doing his job." BREAKING NEWS: Who is AFD prosecutor Martin Zschächner? Since yesterday, we know who initiated proceedings against us for "forming a criminal organization". It is the AfD prosecutor Martin Zschächner. Example offenses from the past (he had skull measured in court) are listed here approximately. He disguised himself yesterday as a "press spokesman" and concealed from the journalists (see Süddeutsche Zeitung, MDR, Tagesspiegel) that he himself is the criticized prosecutor! Among others, he answered questions about the neutrality of the prosecutor. 1. We will now take a preliminary injunction against him, which forbids Zschächner to speak out as spokesman, without making it clear that he is the prosecutor, who has been investigating for 16 months. 2. Since he could have made himself gravely liable to prosecution, we are reviewing the report on the basis of §344 of the Criminal Code "Persecution of Innocents". 3. We are also looking into what will be our response to him giving out a lot of information about our procedure to journalists yesterday, but refused to give our lawyers any access. "The Munich lawyer and criminal law expert Hartmut Wächtler calls the investigation 'quite madness'." Criminal art? I have to be part of it! Support our criminal artist association with your donation! Not only the public prosecutor's office in Thuringia, also Höcke and Erdogan praise the Center for Political Beauty as a storm gun of humanism. 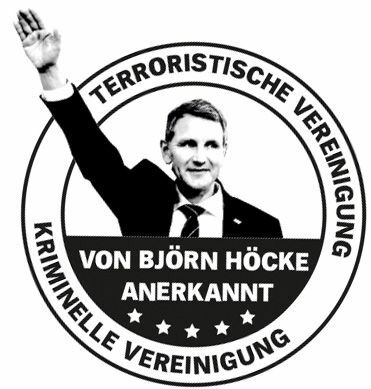 "After already having been recognized by Björn Höcke as a terrorist group, we now receive the quality label 'criminal organization' by no less an institution than the Gera Public Prosecution. Still we are optimistic that the intelligence officers who are apparently wiretapping us for 16 months already, learned a lesson in living democracy. But now they are also welcome to go back to Thuringia to deal with the rampant right-wing terrorism over there." 22.11.2017 A building extension of the Holocaust Memorial ended up in front of Björn Höcke‘s house in Bornhagen. 29.11.2017 The Gera Public Prosecution begins the investigations against the founder of the Center for Politcal Beauty for suspicions of the "establishment of a criminal organization" (file number 173 Js 39326/17). 01.03.2019 The Federal Ministry of the Interior mandates by decree a ban on public appearance against the head of the Center for Political Beauty at the Federal Congress of the Federal Agency for Political Education (bpb), in order to not intimidate "criminal investigations". 08.03.2019 The Thuringian Minister of Justice signs a list with 13 terrorist organizations on behalf of the Thuringian state government, among which a "group of action artists". 02.04.2019 Our lawyers were denied access to the file: "A submission of the file is currently ruled out, since the investigation is still ongoing." Our supporters make an invaluable contribution to civil unrest for more humanity in Germany, Europe and the entire world. Even a small contribution will help us to stay afloat. You make a transfer. We make the noise!